Apple on Thursday became the first $1 trillion publicly listed U.S. company, crowning a decade-long rise fuelled by its ubiquitous iPhone that transformed it from a niche player in personal computers into a global powerhouse spanning entertainment and communications. 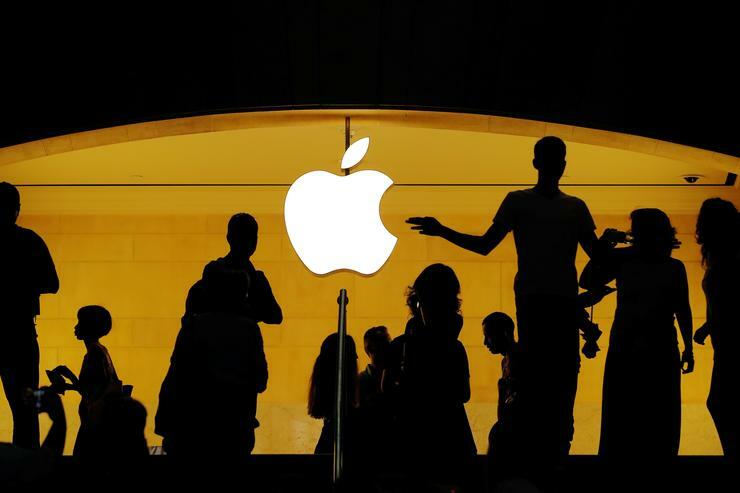 Apple has rallied about 9 per cent since Tuesday, when it reported June-quarter results above expectations and said it bought back $20 billion of its own shares. It was Apple's best two-day run since April 2014. Apple's stock market value is greater than the combined capitalisation of Exxon Mobil Corp, Procter & Gamble and AT&T. It now accounts for 4 percent of the S&P 500. He launched the iPhone in 2007, dropping "Computer" from Apple's name and super-charging the cellphone industry, catching Microsoft, Intel, Samsung Electronics and Nokia off guard. That put Apple on a path to overtake Exxon Mobil in 2011 as the largest U.S. company by market value. Apple's stock has risen over 30 per cent in the past year, fuelled by optimism about the iPhone X, launched a decade after the original. Also propelling Apple higher in recent months was Apple's announcement that it earmarked $100 billion for a new share repurchase program. Reporting by Noel Randewich; Additional reporting by Amy Caren Daniel in Bengaluru; Editing by Nick Zieminski and Peter Cooney.